Second Life™ has a valuable virtual real estate market. Yet, SL is not the only virtual world with real estate issues. ArcheAge is coming up on a new land rush and the problems of players losing existing land holdings. Posted in Desura, Games - Other, Myst-Uru, Philosophy. I came to Second Life as part of a group of Myst fans migrating when Myst Online: Uru Live closed, again. That was 2008. By 2009 some of us were attempting to unite Myst fans across numerous games and platforms. There was a lot of contention about playing Uru Live anywhere but on official Cyan Worlds servers. But, as there were no official Cyan servers, fans were building parts of Uru in various games. Posted in Devokan, Myst-Uru, Second Life. Tagged Devokan. I came to Second Life from Myst Online: Uru Live (MO:UL), my first MMORPG. I still like the game but the community playing in the game remains so dysfunctional it keeps me out of the game except for rare occasions. There is almost no game master moderation within the current free online game, leads to complaints like we hear in SL. The Myst™ series of games peaked, I think, with the creation of Myst Online: Uru Live® (now free to play), an early MMORPG and contemporary with then startup Second Life™. Since peaking Myst is heard from less and less with almost no news coverage now. The core fans still love it and post 20 to 50 comments in the forum each day. There is no server UG meeting today as the Lindens are having an internal meeting. The Deploys thread and information from last week is that the main grid got the package previously running on all three RC channels last week (32), a maintenance package with a JSON fix roll-back. None of the RC channels are rolling this week. That MAY mean no restarts for those regions. 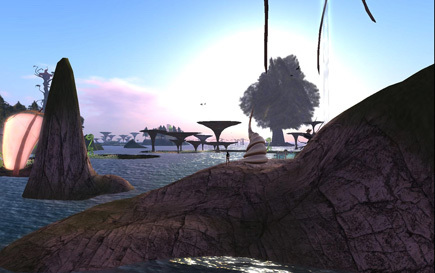 Posted in Myst-Uru, Second Life, Server, SLV2, 3, 4, 5, & 6 Series, Viewers. The Group Ban Viewer has been promoted to the main viewer: 3.7.13 (292225). The release notes are here. So, if you own a group and have problem people, you can ban them and they will not be able to get back in. Otherwise there are no changes to the Linden Lab viewer line up. A beta version of the Dolphin Viewer is out, 3.6.99.32369. There is no new information on what is in this viewer. I assume this is just a bug fixed version of the July release. Posted in Cool VL, CtrlAltStudio, Dolphin, Myst-Uru, Second Life, Server, SLV2, 3, 4, 5, & 6 Series, Viewers. Myst was one of the games my family got in 1991. Its graphics were awesome for the time. It was the all time best selling computer game until the SIMS took that title. Parents thought it was great, mostly because there was no violence. Cyan Worlds, Inc. has just released an update of the game. They have re-rendered the world for our newer systems. The video has visual artifacts not in the game. I suspect the compression used for YouTube created the artifacts and blur. Get the new game for US$12 at Humble Bundle. It is on Steam for $17. The video does show the new graphics and cover some of the history of the game.